The following road closures are for Union Pacific Railroad to replace the track panel thru the crossings. •LA 1 South By Pass, Natchitoches. The work is being done at milepost 315.682 and is on control section 034-30. The closures will start Wednesday, Jan. 24 from 7 a.m.-7 p.m. The Roadway will be closed completely to all traffic during this time. The detour route will be identified with proper markings for the general public. All emergency agencies will be notified of the road closure. •LA 1223, Natchitoches. The work is being done at milepost 0.220 and is on control section 835-13. The closures will start Thursday, Jan. 25 from 7 a.m.-7 p.m. The detour will be LA 1223 to LA 1 South to LA 1 South By Pass to LA 6X East to LA 1223. 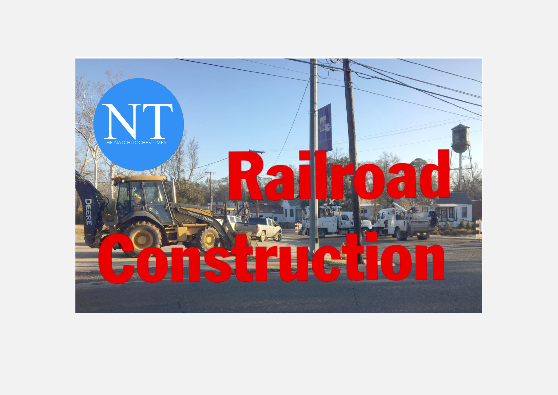 •LA 1223, Natchitoches, Natchitoches Parish, will be closed at the Union Pacific Railroad track. The work is being done at milepost 0.720 and is on control section 835-13. The closures will start Friday, Jan. 26 from 7 a.m.-7 p.m.
•LA 6X Business, Natchitoches Parish. The work is being done at milepost 1.080 and is on control section 034-05. The closures will start Saturday, Jan. 27 at 7 a.m. with a re-opening to traffic at 7 p.m. The closure is for Union Pacific Railroad to replace the track panel thru the crossing. The detour will be LA 6X Business East to LA 1223 East to LA 1 South to LA 1 South By Pass to LA 6X Business East. The detour route will be identified with proper markings for the general public. All emergency agencies will be notified of the road closure. •LA 6 North By Pass, Natchitoches Parish. The work is being done at milepost 48.123 and is on control section 835-17. The closures will start Sunday, Jan. 28 from 7 a.m.-7 p.m. The roadway will be closed completely to all traffic during this time. The detour for trucks will be LA 1 North to US 371/84 Coushatta, East on US 84 to US 71 South to LA 6 West. All wide loads will be permitted on this detour only. The detour for vehicles will be LA 1 South to LA 1 Business South to Texas Street to LA 6 East. The detour will be identified with proper markings for the general public. All emergency agencies will be notified of the road closure. The roadway will be closed completely to all traffic during this time. The detour route will be identified with proper markings for the general public. All emergency agencies will be notified of the road closure.